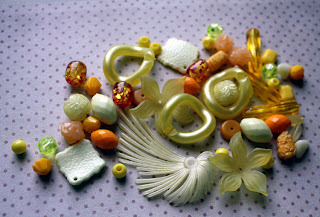 I received the bead mixes amidst all the bead soup brouhaha and wasn't able to craft anything with them until last week. 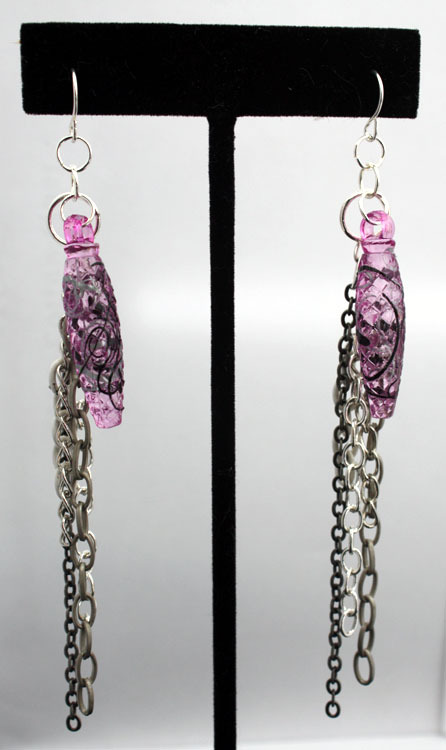 I played around with the beads for a while and ended up making these three pieces. If you'll notice, I didn't use any of the beads from the teal or purple mixes. That's because those beads are for YOU!! I saved my favorite two colors to share with you and challenged myself with the yellow and pink mixes. Anyway. . . Yes, I'm having another giveaway!! Leave me a comment letting me know what your favorite product is from Vintage Beads from Europe, whether it's one of the bead mixes, a button set, some of the metal findings, or any of the other cool items Vente has for sale. Just leave a comment with the item and you're entered to win both the purple and the teal bead mix. Easy peasy!! You have until Sunday, October 16th to enter. I'll draw a name on the 17th. Speaking of giveaways, I stumbled on a few more today! My friend, Patty, from My Life Under the Bus is having a really great giveaway. You'll need to head over there to read the details. It's awesome! As well, the Vintaj Blog is giving away a really neat collection of items (see below). They just have a few questions they want you to answer. 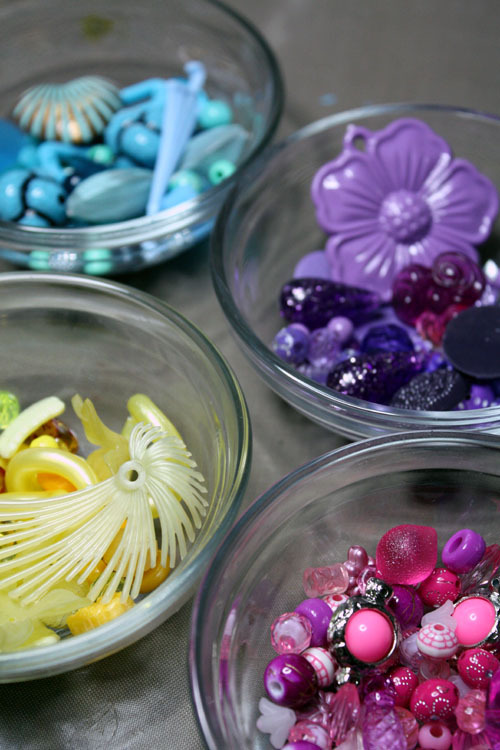 I've got a list of some less-than-exciting tasks I need to get done today before I can start some new projects on my bead table. Oh, and I heard from Joyce and will be sending out her prize package soon. So there will not be another drawing for the copper bead soup set. I just wanted to clear that up! 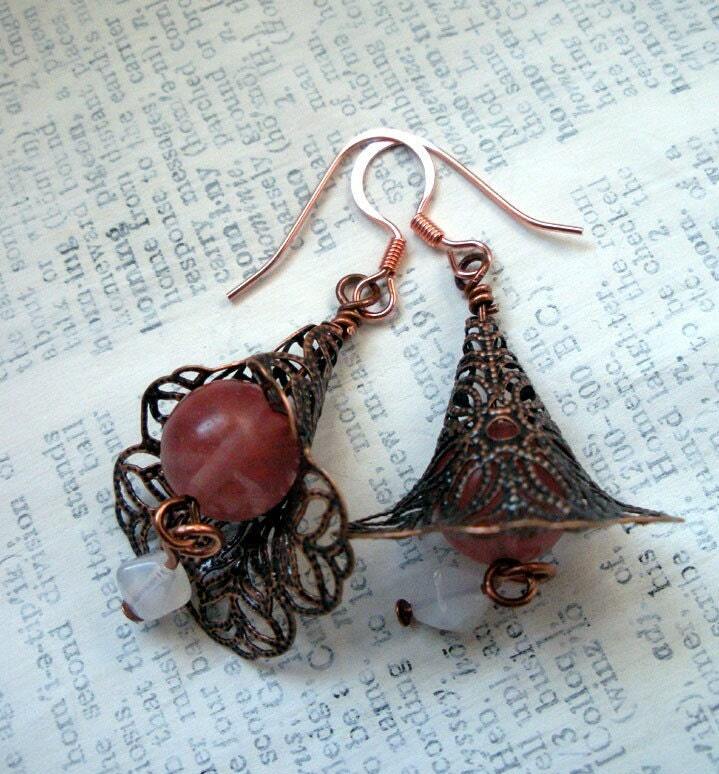 This copper beauty, however, is back in the shop for sale! So many cute things on that site, hard to choose! But I was drawn to more of the beads, so beads it is. I love that pink bracelet. 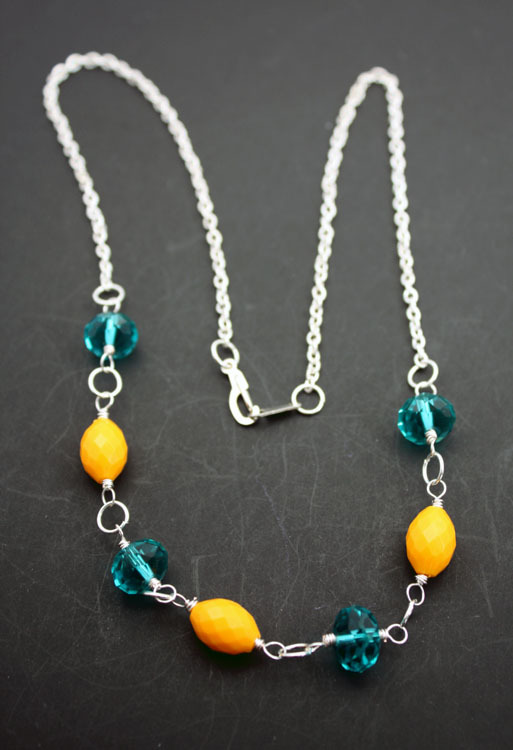 So fun and pretty with the pops of yellow. Thanks! I know. She;s definitely got some nice items there. 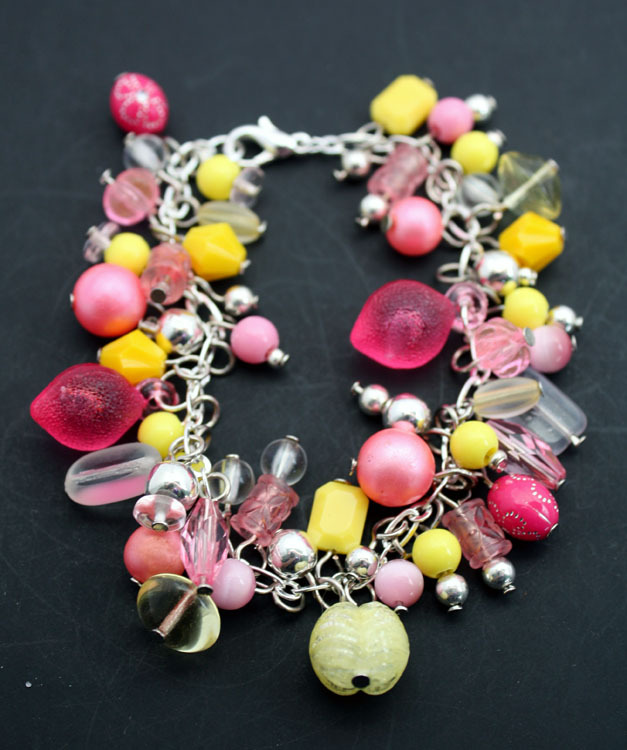 That pink and yellow bracelet is my Pink Lemonade bracelet. If you look at it, there are even some pink lemons from the mix in it. That's what inspired me with that bracelet! I do love bead mixes. It's like a big party in a little container! I think I like their bead mixes best- ya never know what you're going to get and they can be challenging! 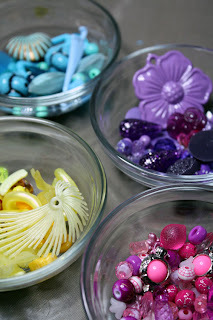 Beautiful bead mixes, I actually hadn't heard of them before. I love the yellow and orange!! Great giveaway, thanks for the opportunity. I was supposed to get some stuff from Vente too, but it never arrived. What an exciting batch of vintage goodness that is! I love Vente's aqua bead mix! In fact, I love it all! 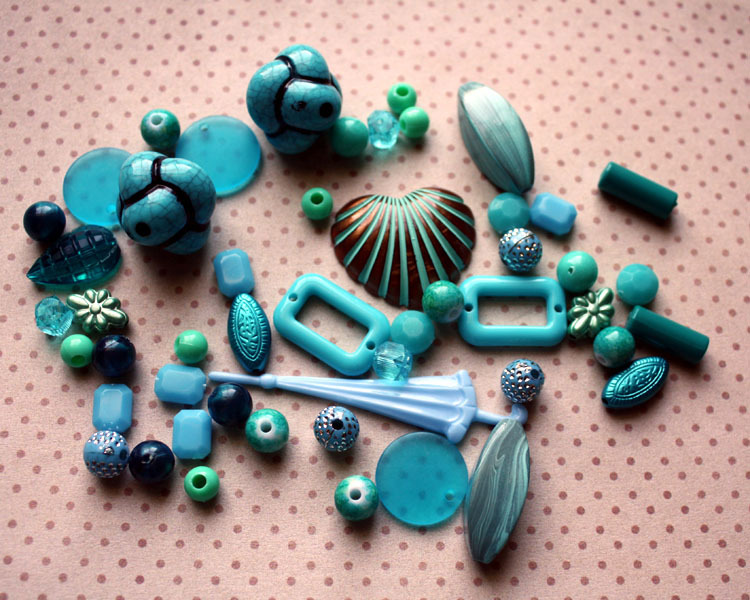 Love the bead mixes because I have to have everything I just can't decide. 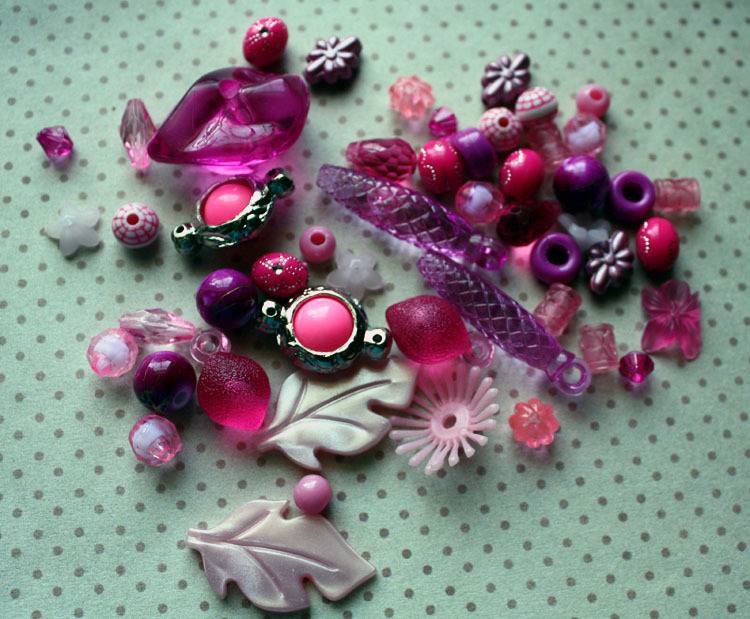 Wow, those beads are pretty, Hope! I love the photos you took- Have fun with your giveaway! New vendor to me, thanks for pointing them out. I really like the primitive leaf charms. They look like they would totally go with one of Heather Power's clay pieces. Thanks for such an awesome giveaway. All those goodies look great! ok, I hopped over to pick a favorite and I CAN'T! 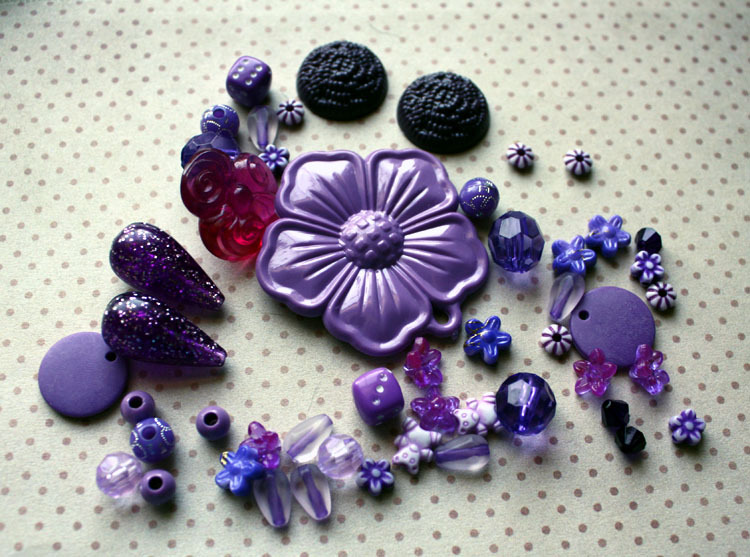 I love ALL of the bead mixes!! Hope that doesn't disqualify me ;) I might just have to go buy some if I don't win! !